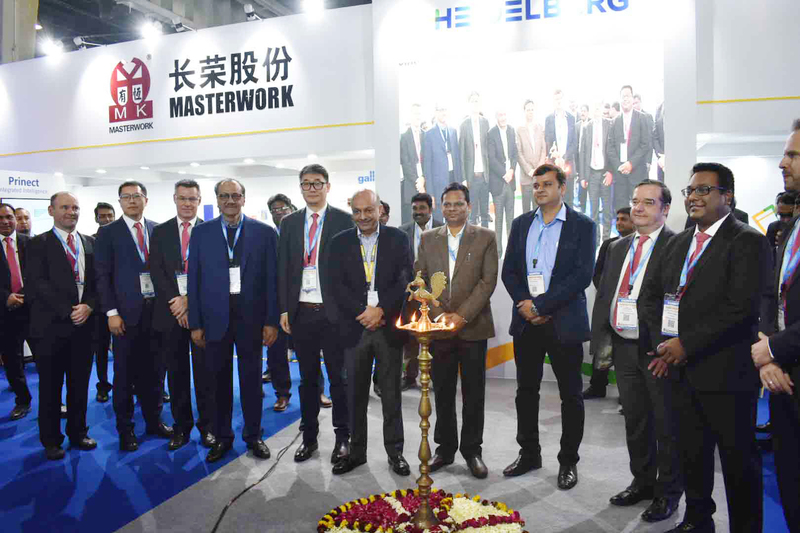 On the first day of the PrintPack India 2019 exhibition, Heidelberg India announced the sale of two Masterwork machines — Easymatrix 106FC foiling machine to TCPL and Easymatrix 106 C/CS die-cutter to Amber Print Pack. Both the machines were on display at the Heidelberg stand at the event. Both the machines will be shipped to these companies after the event is over on 6 February 2019. 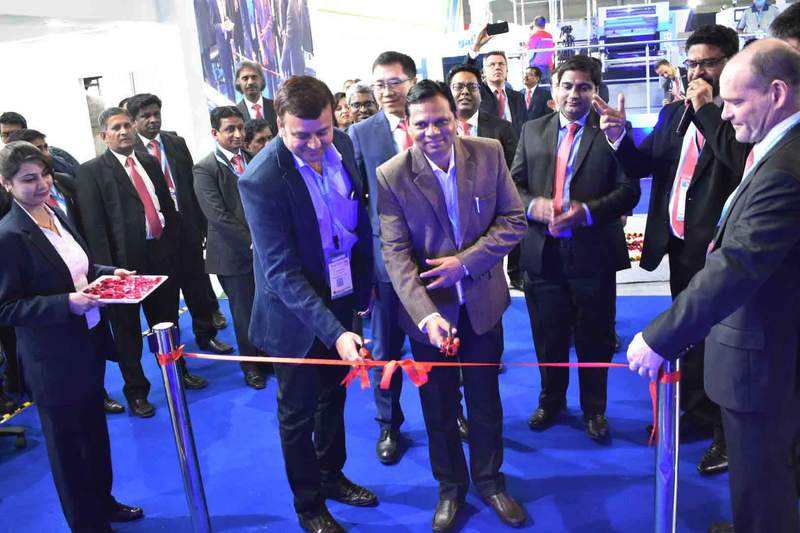 Heidelberg invited several of its leading commercial and packaging customers to inaugurate its stand and start the Easymatrix 106 FC foiling and Easymatrix 106 CS die-cutting machines. 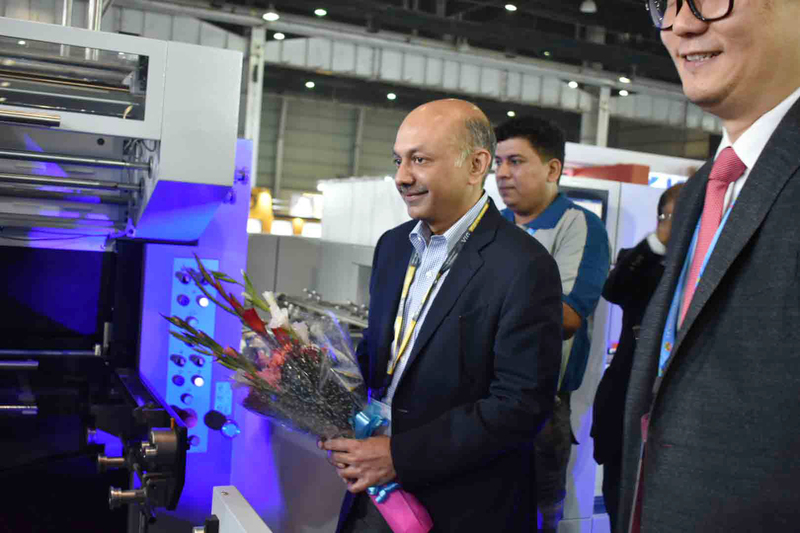 Eminent customers who graced the occasion were Saket Kanodia of TCPL, Ramesh Kejriwal of Parksons, and Wafa Abbas and Anurag Mathur of Amber Print Pack. The Easymatrix 106 CS can deliver comprehensive service. Short setup times and easy operation provide a high level of productivity. The workflow is very effective because automation eliminates many mistakes from manual activities. With a speed of 7,700 sheets per hour and short make-ready times, the Easymatrix 106 CS stands for productivity and cost-efficiency up to a size of 106. It processes materials from 90 to 2,000 gram per square meter. Even corrugated board up to 4 mm thick can be processed. According to Heidelberg, the Easymatrix 106 FC is the perfect machine to widen packaging portfolio with hot foil stamping. Additional to the cutting station, it is equipped with a hot foil unit, which enables you to install three to six longitudinal and up to two transversal foil feeding shafts. The Hot Foil Computer System helps to speed up the foil adjustment and keep an eye on the parameters while running the machine.